Please note that as per the United States Environmental Protection Agency's (EPA) new requirement, effective January 1, 2018 Global Industrial can only sell refrigerants containing CFCs, HCFCs or HFCs to individuals/technicians certified under 608 or 609 of the Clean Air Act. Prior to purchase you will need to complete the form HERE and return it to the instructed email. 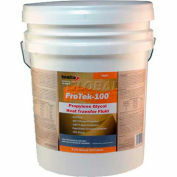 Once complete, please contact your Global sales representative purchase. 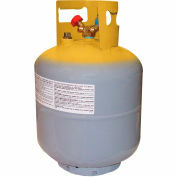 RS-44b (R453a) is the newest R22 drop-in replacement refrigerant in the U.S. market. RS-44b has been sold worldwide for the past 3 years as RS-70. It is a true R22 drop-in replacement that operates with very similar discharge pressure, cooling capacity and flow rate as R22. It requires no oil or system component changes and has the lowest GWP of any HFC R22 replacement in the market at 1664 TAR. 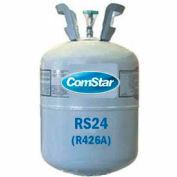 RS-44b is a PROVEN R-22 replacement now being manufactured in the United States. RS-44b (R453a) is an improved version of our very successful RS-44 (R424a) and has the following advantages. RS-44b has the benefit of lower energy consumption. 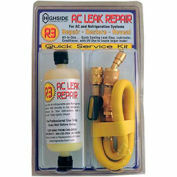 RS-44b can be mixed with R22 or RS-44 without any system performance problems (if a service tech, inadvertently mixes the two refrigerants). 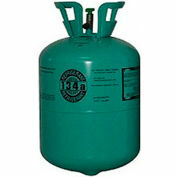 RS-44b is a non flammable HFC blend. 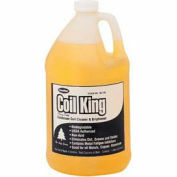 It is compatible with both traditional mineral and synthetic lubricants so that a retrofit to a different refrigerant oil is not required. The small amount of hydrocarbons in RS-44b improve the oil return to the compressor to extend the life of the compressor. 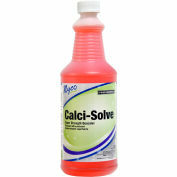 RS-44b is a direct replacement for R22, providing an easy and long term solution. Because there is no need to use expensive and hygroscopic synthetic lubricants (POE), the risk of moisture ingress into a refrigeration system is completely avoided. RS-44b has similar discharge pressures as R22 and lower discharge temperature than R22; which make RS-44b a seamless drop-in replacement. 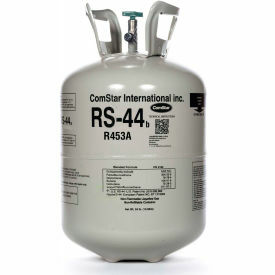 RS-44b is suitable for use as a replacement for R-22 in existing residential, commercial and industrial air conditioning and refrigeration systems. Your review: Works good as a replacement in my older Coach AC units without a bunch of hassle. Pay attention to your pressures, they will be off of what R-12 runs. 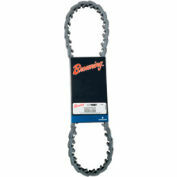 Use specific RS-44 capable gauges. Pros: Requires less to fill the system as R-12 would take. Lower running pressures. Gets really cold when charged correct. 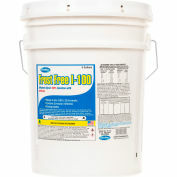 Cons: Does not compress like R-12, real easy to lock up a compressor if you charge to fast.